First published in 1998, this pioneering text examines how social, political and organisational changes in Ireland have shaped mental health social work practice in the late twentieth century. 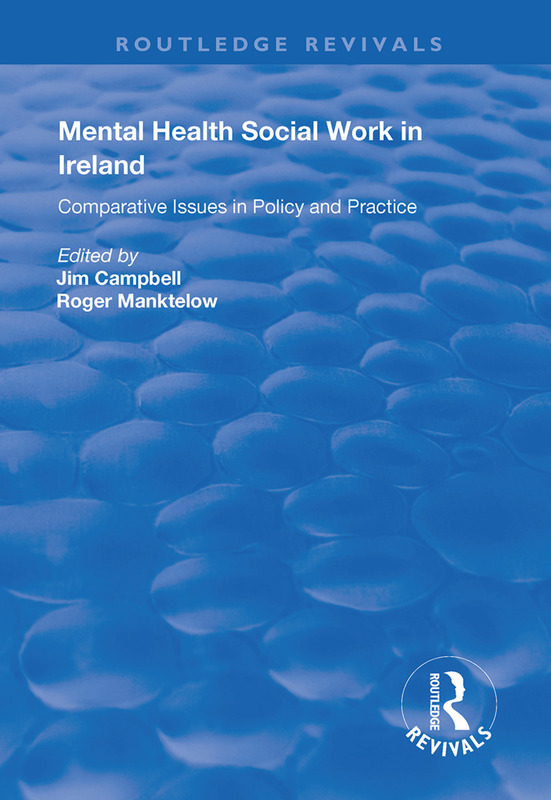 The co-editors have gathered together a range of contributors who provide knowledge and expertise in a variety of disciplines and practice settings which helps reveal the complex relationship between mental health social work, the citizen and the state in Ireland, North and South. The volume includes chapters on a range of current issues facing mental health social workers and practitioners drawing on various sources in Ireland, Europe and North America. These include psychiatric social work practice, mental health policy, mental health social work and the law, community care policies, addictions work, and work with older people. Deinstitutionalisation in the Republic of Ireland: a case for re-definition?